Massive Password Breach, WPML Hack, Domino's Pizza Accessibility and Internal Security! Podcast about the web industry, tools and techniques upcoming and in use today hosted by Adam Listek. Facebook Asks for Email Passwords, Wordpress 5.2 Coming Soon, Illustrated.dev, Nord Theme Colors and the what and why's of Municipal Broadband! Annual Stack Overflow Survey, Edge Goes Chromium, USWDS 2.0, OWASP CheatSheets, Google Tag Trigger Groups and What is USWDS after all? Traefik 2.0, Powershell 7, VS Code 1.33, Grafana 6.1 and More Resources! Google EU Fines, Prometheus Update, Duo on the Web, KV Storage Module, Firefox 66 Release and Realistic Avatars, Deepfakes and Societal Effects! DO MarketPlace, Windows Lite, OBS Updates & the Challenge with Policing Social Media! 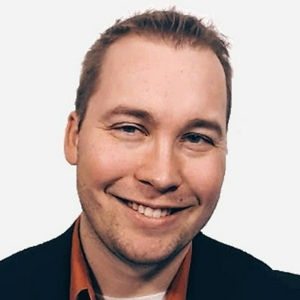 Social Media and Internet Freedom, an Interview with my Son on this special bonus Bit v. Byte! If you would like to support me via Anchor Listener Support, go to anchor.fm/bit-v-byte. Thank you! Adblockers Performance, DO Managed DB, Spectrum Chat and Managed Services Value! Google Tracking, MS Wants IE Gone, RocketBook, GitPitch and TechSnips Courses! Wordpress 5.1 & Gutenberg, PHP 7.3, Kirby 3, UI Bundle and New Web Dev Roles! Ring Privacy Concerns, Alphabet Sued, Private GitHub Repos & Privacy Responsibilities! 2018 Best Apps: Notion, Ansible, CloudFlare, DO, Prometheus, Hugo, Grafana and More! More Google Trouble, First Major GDPR Fine, New Atom/Magento Releases and HTTP/3! Linux Kernel, CloudFlare Birthday, MacOS X Mojave, Google Search Changes & One Year of Podcasting! Google Data Studio, ACF 5.0 Free, Evernote & NewEgg Troubles and Tech Conferences! EU Copyright, Google Photo API & Inbox, PS Core 6.1 and TechSnips! Google Optimize Free, Grafana, VS Code, Firefox & Chrome Updates & UI Design! Cross-Posts, Verizon Data Caps, Tech Employee Burnout and Customer Service in Web Development! Flash Deprecation, Ghost Updates, Art of Debugging and Morality and Ethics in Web Development! Symantec Cert Distrust, Evernote Refresh and Remote Working! Chrome 68, Atom 1.29 and the difficulty of Time Tracking and Scheduling! Teams Free for All, Chrome CPU Usage, TicketMaster Breach and Serverless Computing! Firefox 61, EU Copyright Directive Voted Down, Gravit bought by Corel and Voice and the Traditional Web! Net Neutrality Repeal, AT&T and Time Warner Merger, Google App Maker release and Low Code Tools for Small Business! GitHub Purchase, VS Code 1.24, Notion on Android and Designing as a Developer! Music & Sound Resources, BiteSize Linux, Firefox Send and Balancing Work and Life! GDPR in Effect, Resources for Colors, Pictures, Fonts and Designs and Thoughts on Performance! Free Adobe XD CC, Crunch 2.0, Sonarwhal and Googles "Selfish Ledger" on this week's Bit v. Byte! Wordpress & GDPR, Sketch 50, Azure Cmdlets and the Ethical Concerns of Google Duplex! 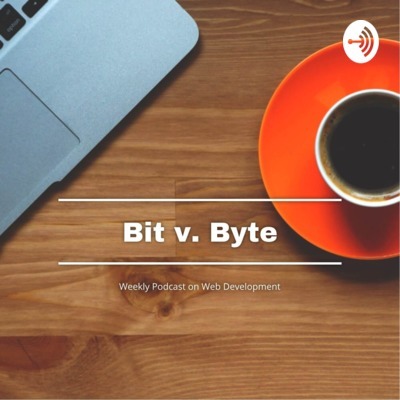 Wordpress & GDPR, Sketch 50, Azure Cmdlets and the Ethical Concerns of Google Duplex on this week's Bit v. Byte! CK Editor, .App TLD, GitHub Pages SSL and the Importance of Accessibility! CK Editor, .App TLD, GitHub Pages SSL and the Importance of Accessibility on this week's Bit v. Byte! Chrome 66, Ubuntu 18.04, Redesigned Gmail and even more GDPR! Chrome 66, Ubuntu 18.04, Redesigned Gmail and even more GDPR on this week's Bit v. Byte episode! Walmart.com website redesign, the future and direction of Allo and Wordpress Gutenberg on this week's Bit v. Byte episode! Wordpress PHP 7.2 Recommendation, RSysLog Wildcard Updates and Keeping Up With all These Regulations! Wordpress PHP 7.2 recommendation, RSysLog updates and keeping up with all these regulations as a small developer on this week's Bit v. Byte episode! GDPR and the Small Business, CloudFlare DNS and LetsEncrypt WildCard Certs! CloudFlare DNS & Workers, Wildcard Certs on LetsEncrypt and talking about the GDPR (General Data Protection Regulations) on this week's Bit v. Byte episode! Twitter Content Creator Changes, Drupal Vulnerability and Software Releases from Notion, Ansible and Grafana! Finally back! Learn about new Twitter content policies, the upcoming critical Drupal vulnerability and new software releases on this week's Bit v. Byte episode! Is Meltdown and Spectre as bad as they say and what exactly is this thing called speculative execution? Learn all about the newest exploits in this week's Bit v. Byte episode! There are a lot of options for website hosting and domains, learn what you need to know to choose a good host in this episode of Bit v. Byte. Let me know what your host recommendations are on Twitter and Facebook! Learn all about SSL and why it's rapidly becoming a critical need for any business website and how you can get started. Happy New Year and let me know if you have an SSL enabled site and what your thoughts are on Twitter or Facebook! Software Release and Deployments, Christmas Edition! Learn about Software Release and Deployments with this special holiday edition (because it falls on Christmas). Let me know your processes on Twitter and Facebook! Project management is hard, but it doesn't have to be. With just a bit of structure you can make your projects go much more efficiently. Listen to learn how you can apply this to your projects! It's important to learn about who your visitors are and why they are following you. Google Analytics, Tag Manager, Webmaster Tools and Data Studio can help you learn a great deal about your visitors and what they are doing on the site. Listen to learn more about how you can use these great free products to enhance your site! Net Neutrality is incredibly important to the future and freedom of the internet. Listen to learn what it is and why you should care. Learn how Social Media can help you and your small business succeed and stand out! Although, it's been tempered in recent years, Wordpress used to have a reputation as just a blog but no longer. It has become one of the top CMS platforms in use on the web. Listen to learn more about how you can use this to solve your web development needs! There is a lot you can do for your server security. This episode is just the tip of the iceberg but listen to learn about some critical steps to harden your server against bad actors. Tips & tricks to stay sane while running a small business! Using Cloudflare, NGINX and LetsEncrypt to create an amazing secured setup. In this episode we talk about browser, server, database and proxy caching. In this episode we talk about metrics and tools to use them like Grafana, Prometheus and NGINX Amplify. May the Tools be With You! Second episode all about various useful tools. In this episode I talk about Terminal tools, SSH tools and code editors.